Planning permission has been granted by Cambridge City Council for our 6 storey block on East Road next door to Mackays' store, sited on a former car sales lot. 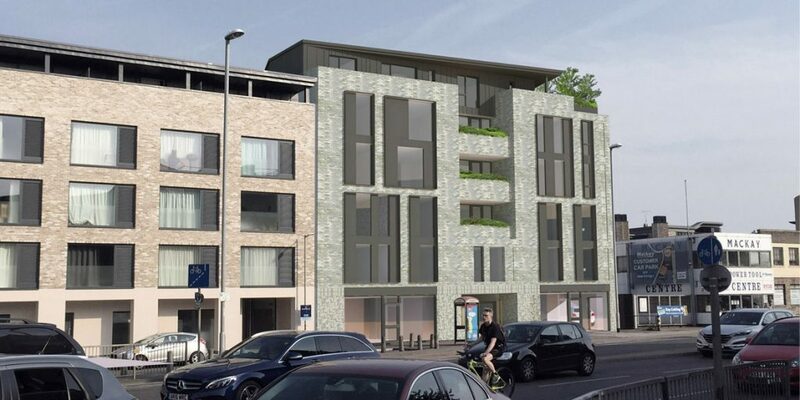 This will be a mixed-use scheme comprising 34 student studio rooms with commercial use on the ground floor for a future retail unit and coffee shop on East Road. The building has been designed to take account of the Council's Eastern Gate Supplementary Planning Guidance and will sit opposite an 8 storey block designed by Alison Brooks Architects approved last year, both of which are intended to assist the regeneration of the area. The case officers Committee Report strongly supported our scheme and summed up; “Overall, I consider that the elevation and treatment of the building would make a positive contribution to the character and appearance of the area. The proposed building would have an interesting and unique fenestration that allows the building to be read as a unique stand-alone building without appearing alien within the context of its surroundings”. Beacon Planning assisted with the application.